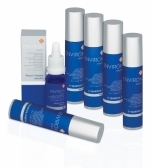 Are Your Environ Products Genuine? It has come to our attention that several web sites and online outlets have been illegally selling counterfeit products labeled as "Environ". Please be aware that they are not authorised Environ distributors. Environ does not sell - and has never sold - any of its products to consumers online.